I am a conditioner-aholic. I love hair masks, and deep conditioners. I might have even thought that shampoo type is a non-issue. As long as I have a great conditioner, any shampoo will do. I may have met the shampoo to change my mind! 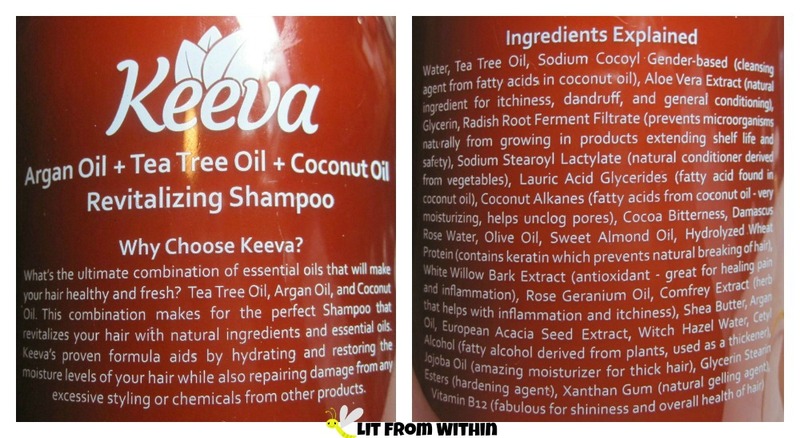 When is a shampoo made of a lot of oils but still look like a shampoo? When it's Keeva. I use product in my hair, and I only wash it once every 5-7 days, so my shampoo has to really clean my hair, but be very gentle. I grew up with "wash, rinse, repeat" as the directions on my shampoo bottle, and thought I needed actually *squeaky* clean hair. Now, we know that suds do not a cleanser make (though this shampoo does make some suds), and gentle is better. An even better way to use shampoo is to massage it into the scalp and focus the cleansing there. Scrubbing the hair just invites tangles and breakage. There's lots of things to love about this shampoo. I love that they not only have the ingredients on the label, but they actually explain why each ingredient is there - even the ones that thicken or act as preservatives. 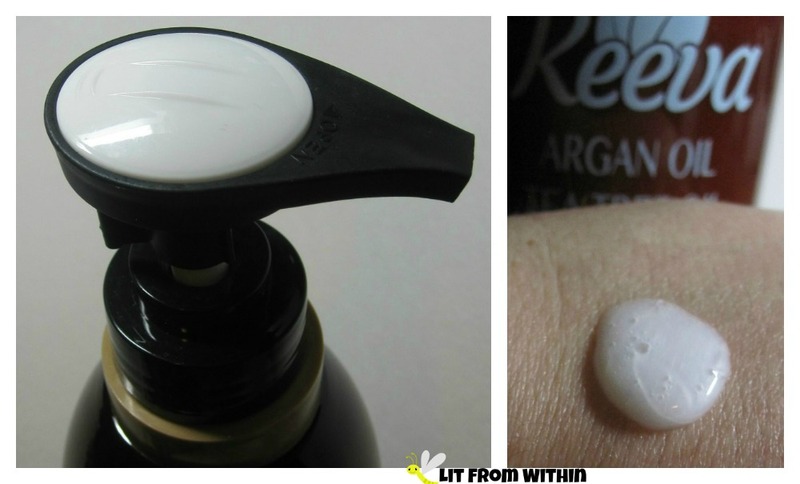 Many ingredients are totally recognizable - tea tree oil, sweet almond oil, olive oil, coconut oil, shea butter, jojoba oil, and witch hazel, to name a few. I love that the bottle is huge - 800 ml! That will last even my long hair for a long time. I love the details in the packaging, like how it comes with a pump, and that pump is attractive and sturdy. It's also nice to note what this shampoo doesn't have - there's no parabens or sulfates, no fragrance (it just smells like soap to me) and it's not tested on animals. It's also safe for color-treated hair. 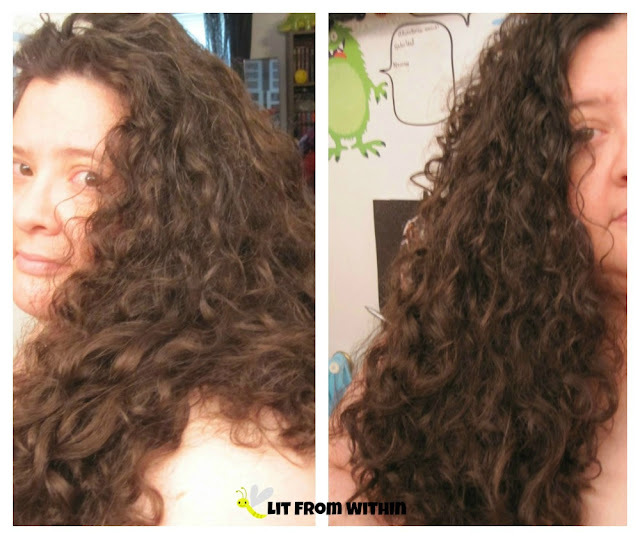 Lately, I've been using big sponge curlers and drying my hair, but after using my Keeva shampoo and a big bottle of DermOrganic Hair Mask that I scored on sale at Ulta, I felt like letting my wild curls fly. No filter, no makeup. Just regular bathroom lighting and my inability to hold a camera such that all my hair fits in frame. I'm calling it "Artsy." Big Hair 4Evah. My hair felt soft, and my curls weren't frizzy. I was able to easily put it in a braid with no tangling! A little Keeva-logo inspired nailart! The base is Dance Legend 588, and the blue is Cirque Storm King. 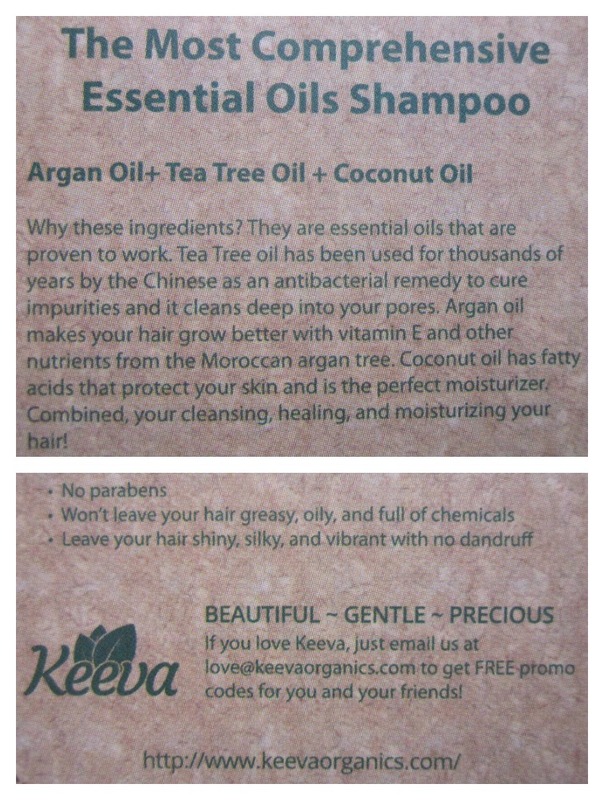 For more information, or to purchase, you can find Keeva Organics on their website, Facebook, Twitter, Instagram, YouTube, Pinterest, Google+, or on Amazon, where their shampoo currently retails for $23.97. If you're not completely satisfied, they have a 60-day, 100% refund policy, too. Have you tried an oil-infused shampoo before?